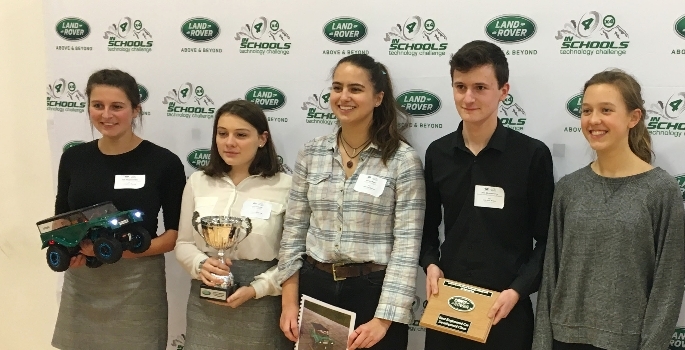 A King Edward’s School, Bath (KES) team of aspiring engineers have won the South West regional final of the Land Rover 4×4 in Schools Technology Challenge, securing themselves a place in the UK National Final in March. The Land Rover 4×4 in Schools Challenge, which requires teams to build a radio controlled four-wheel drive (4×4) vehicle which can successfully navigate and complete obstacles on an off-road test track, thereby emulating the capabilities of a full size 4×4 vehicle, attracted teams from across the region. The KES team, working together under their racing name of ‘11th Hour 4×4’ won the Development Class (open to team members aged 11-19yrs) and picked up an additional award for best engineered vehicle. The team will now go on to compete in the National Final at The British Motor Museum, Warwick, and will be hoping they can make it one stage further to the World Final. During the regional heat the KES team had to demonstrate an in-depth knowledge and understanding of their vehicle’s suspension, chassis and wheels. The day involved a verbal presentation and engineering interview ahead of testing their vehicle on a demanding obstacle course. 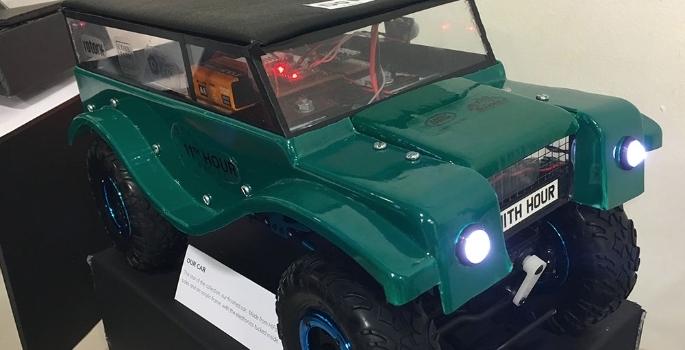 The Land Rover 4×4 in Schools Challenge aims to raise awareness, interest and enthusiasm in engineering through the practical application of Design & Technology, Mathematics and Science. The Challenge’s organisers, Land Rover, also encourage teams to identify sponsors to support their project and the KES team were delighted that local companies, Ashford Homes, Cobb Farr and Rotork, supported their efforts. The National Final takes place on 22-23 March 2018. A prosperous future for all?